Meet the all-new Nissan Terra; a rugged ute-based SUV that's bound for China and other Asian markets a little later this year. And while there's no immediate local launch planned, Nissan Australia hasn't ruled out a debut in this market. Details are thin on the ground for now, but we do know the Terra is a Navara ute-based SUV that would neatly plug a gap left in Nissan’s line-up when the Pathfinder switched from body-on-frame to a car-like set-up in 2013. We’d expect a permanent four-wheel drive offering and up to seven seats, and while powertrain details are yet to be revealed, we wouldn’t be shocked to see the Navara's 2.3-litre turbo-diesel play a starring role. The handful of official pictures released to date reveal an interior very similar to that of the Navara, too. “This rugged SUV is practical, authentic, and designed to go anywhere,” says Nissan’s senior vice president for Nissan’s frame and LCVs, Ashwani Gupta. “The Nissan Terra goes on sale this spring, first in China, with other Asian markets soon to follow. Now, we know what you’re thinking; 'But don’t we love cars just like this, too?’ Yes, yes we do. 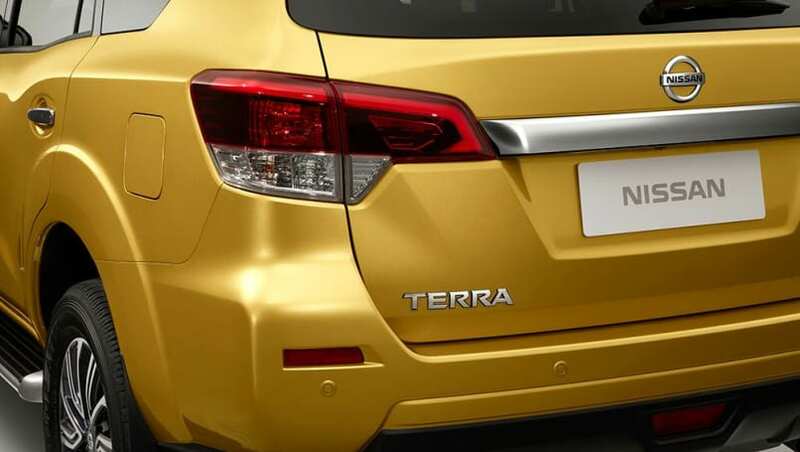 And while the brand's executives tell us that the Terra is a left-hand drive offering only, Nissan Australia has confirmed it’ll be keeping a close eye on the new SUV when it is unveiled in April to see where it could fit into the local line-up. “Everything is on the table,” says Nissan Australia’s corporate communications manager, Tony Mee. “It’s up to us to work out if a vehicle of this type has a place in the Australian market, and if it meets the needs of Australian buyers. If Nissan Australia does make a play for the Terra, which it surely will, it’s a decision that will be supported by the company’s global executives. Speaking at the local launch of the updated Navara, Mr Gupta stressed the importance of frame-based vehicles to the Australian market, and was quick to point out how easy it is to introduce international models to Australia.